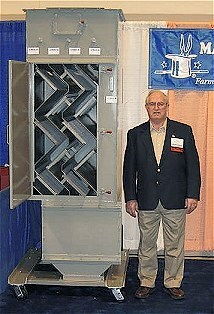 Magik Kleener Sales, Inc has been in business for 18 years. It was incorporated in 1989 at Harlan, IA. Owners are Lucille & Michael "Mick" Schmidt. Mick has been in the contracting and millwright business for 50 years. Early contracting work included building some area churches and schools. the United States and into foreign countries. Copyright © 2000 - 2019 Magik Kleener Sales, Inc.